Some Fabrics Are Just Too Hard to Cut Into » What's Under the Needle? 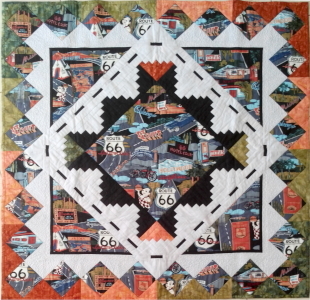 Here's what I did with this Hoffman Fabric Route 66 fabric. 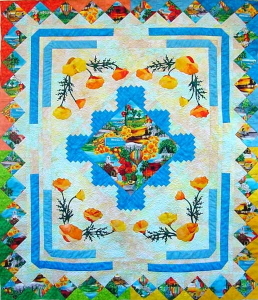 In this pattern, I showcased a large block of fabric in the middle and smaller triangular sections in the corners. Around the border square-in-a-square blocks, it was fun seeing which part of the fabric was displayed. .... 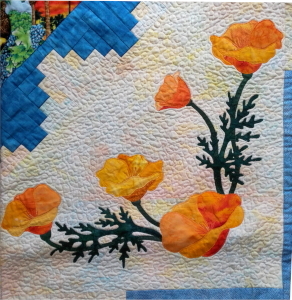 I added poppies to the corners for added interest. Let's take a look at some other fabrics to see if they might work in the same way. 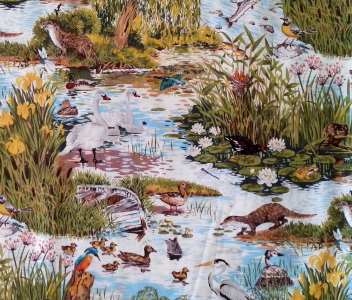 How about this fabric? I think this would work great in the same quilt setting! 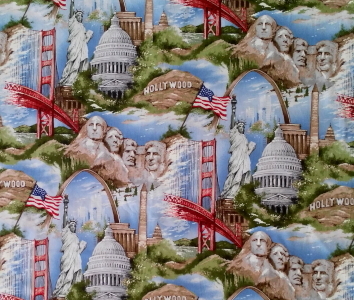 I could even add red, white and blue around the border to enhance the American feel. 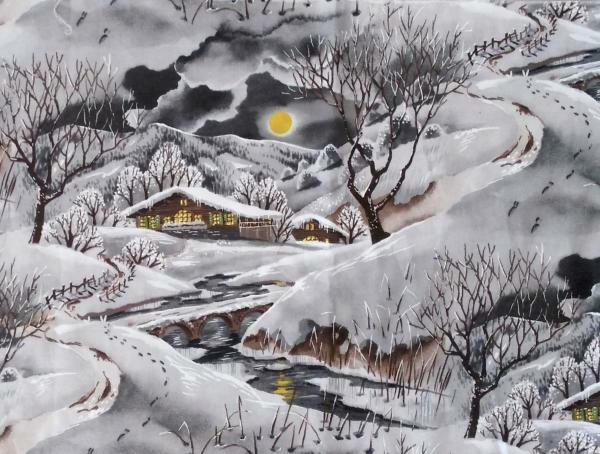 ...or perhaps a seasonal quilt would be fun too. Do you have a fabric that would work? I'd love to hear about it in the comments below, or send me a photo.